One of the defining characteristics of a project is that it lasts for a fixed period of time. That could be anything from a few weeks to several years, and in some cases, for large-scale construction projects or public works, decades. To track progress along the way and ensure the key deliverables are being achieved according to the timeline, project managers use milestones. A project milestone is a task with a duration of zero which signifies achievement in the project. They are used as a way to show forward movement and progress and show people what is going on, even if they don’t have detailed knowledge of the tasks involved to get there. In that respect, they are very useful for stakeholder communication and setting expectations. A training course might recommend putting milestones in your plan about once a month. This is fine and a good rule of thumb, but you need to use your professional judgment. Some months might have a lot of activity with important meetings being marked as milestones, decisions being taken and the closure of one phase and the start of another. In other months you might be focused on execution, with very little, if anything, that you can hang a milestone on. For reporting purposes, it is useful to create a reason to have a milestone at least once in every reporting cycle. Milestones are one of the components of a Gantt chart and are shown on the chart as a diamond. They aren’t shown as a normal task because they have a duration of zero: in other words, they don’t take up any time. For the purposes of planning on a Gantt chart, they just happen. If you aren’t using Gantt charts, you can still use milestones. Here are 5 alternatives to Gantt charts: you can still incorporate milestones into your plan using these. 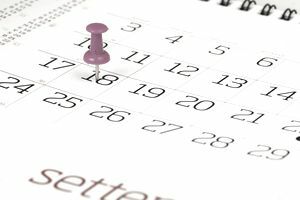 If you want to stay personally organized and your project management software isn’t fully integrated into your calendar, you can copy and paste the key dates into your diary. Depending on how you like to work, this can remind you of what should be coming up. Milestones should have a clear description on your project schedule, but not one that implies they are a task. So they shouldn’t be called ‘Get agreement to move into Phase 2’ but ‘Phase 2 starts’. If you want to reflect the effort of getting agreement to move into Phase 2, then add a task in just before the milestone to cover it. Many project managers choose to number their milestones for ease of reference as well. If you use a work breakdown structure, you can use the numbering from that. Otherwise, it’s fine to use M1, M2 and so on to make it clear what you are referring to. A clear naming structure becomes more important as the number of milestones increases, so think about how you are going to do this if your project runs over several months. Milestones form part of your project schedule, so when your schedule is baselined, you should consider your milestones signed off. If you need to change the dates of your milestones, then you should use your standard change control procedure for making adjustments to your plan. This might be as easy as chatting with your project sponsor and letting them know why the dates need to change, or as formal as putting together a new recommended schedule and taking it to a planning committee to have ratified. It’s best to work out what your milestone sign off process will be, if any, before needing to use it, so that you don’t waste any time when you have to make a change. Milestones are useful for communication and reporting because they represent the minimum points of control in the plan. In other words, if you took out all the other tasks, you could still see what was happening and keep the project moving forward using just the milestones. You should be able to pull out the milestones and put them on a dashboard or project report. They should tell the story of the project in enough detail to satisfy the people you are reporting to, normally your project sponsor or another executive group such as the steering group (or project board). Each month, or at the reporting frequency you use, you can show which milestones have been achieved. Reporting against milestones is quite straightforward and is often done as a table. You list the milestone description, the date it was due and then the new forecasted date. When the milestone is achieved and can be marked as complete, you add that date in as well. Hopefully, it will be the same as the forecasted date, but projects don’t always work out like that. A table like this makes it obvious what has been completed and what is outstanding. You’ll be able to plan the answer to the question, “Why didn’t we hit that milestone?” before you go and meet with your sponsor or send the report. When your project plan is very long, and you have lots of milestones, you will find it easier to drop off completed milestones each reporting cycle. Only report the milestones that are upcoming or completed that month: next month take off anything that was completed last month, so you don’t constantly add to the length of the report by telling people about work that they already know is finished. Milestones are a really useful project management tool for planning, scheduling, and reporting and they are easy to use. Put some in your next project plan, track against them and you’ll find yourself learning what frequency works best for you. As with everything in project management, use them flexibly to deliver the result you want, using these tips and guidelines to inform your own decisions.